Every now and then a website will break one of Google’s quality guidelines and be penalised. Whenever a penalty results in an investigation by a Google employee, this is known as a “manual penalty”. Manual penalties differ from algorithmic penalties in two main ways. Firstly, they will only ever occur after a Google employee has analysed a website; algorithmic penalties, on the other hand, will occur when Googlebot detects a breach of policy. Secondly, they can usually be resolved by taking quick action and filing a reconsideration request with Google. Do You Have a Manual Penalty? If Google applies a manual penalty it will send an email to your Google account. In addition to this, there will be an alert in Google Search Console. The alert will provide details of the type of penalty. There are two main types of manual action: site-wide matches and partial matches. A site-wide match is when Google penalises an entire website – this will sometimes result in the site being removed from the Google index. A partial match is when a specific page or pages are penalised. On very large sites, a partial match is not only common, but often nothing to worry about. However, for smaller sites it can be devastating, and if it affects the homepage, the whole of the site will suffer for it. To recover from a manual penalty you need to repair the site and then file a reconsideration request. A member of the Google search quality team will then review the site and make a decision. Google now takes serious action on aggressive, black hat link building and will penalise a site that is found to be cheating the system in this manner. This is a hard penalty to resolve and you may require a link audit to determine which links are causing the problem. You need to attempt to remove as many links as possible and also use Google’s Disavow Tool. When you think you have cleared up the links, file a reconsideration request. Related: What Makes A Good Mobile Website? To resolve you need to repair your website and then file a reconsideration request. 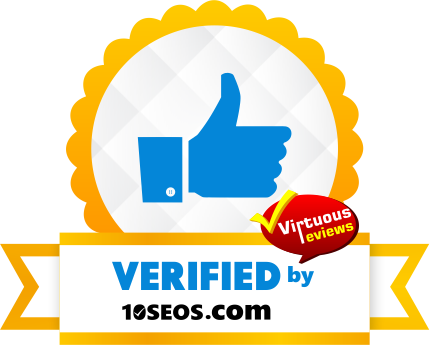 This is a request made direct to Google, to review your website after you have resolved the problems that lead to the manual penalty. To file a request you need to sign into Search Console and under the Manual Actions section, click the “Request a Review” button. This will take you to a page where you can add some information about the changes you have made to resolve the problem. In the request, demonstrate that you understand what happened and explain what action you have made to ensure it does not happen again. Before filing, run all pages through the Search Console Fetch as Googlebot tool – many attempts to recover from a hacked site are thwarted by cloaking, which is when the hack is only visible to Googlebot. If you are caught linking out to other sites to help them rank better, Google will penalise your site. To recover, either remove all links or add rel=”nofollow” to them, and then file a reconsideration request, informing Google of every link that you have amended. Hacked sites are a major problem for Google, so much so that they recently ran a hangout to help website owners prevent hacking and repair hacked sites. Hacked sites are often used to either steal search engine traffic or to manipulate the PageRank of other websites. Hacked sites can also carry viruses and Trojans, so Google often penalises a site to nullify the effect of the hack and also protect users. This is no longer limited to keyword stuffing, although this does play a large part. If site users are creating spamming pages to try to promote products or services, Google may apply a penalty to the site. If you run any type of community you need to ensure that it is well managed. To recover, you will need to remove or noindex spam pages and take measures to prevent future spam appearing. If you have many pages that are mostly empty, this can result in a manual penalty. Empty category pages, or product pages that have nothing but a title and photo, can be considered thin content. A penalty will usually only affect the individual pages, unless your website is made up entirely of thin content. To resolve, you need to ensure that a majority of your pages provide value to your readers, with unique and well-written content and relevant images. If the nature of your site means that sometimes pages will be empty, you should consider adding the Noindex directive. Google sometimes identifies a website as “pure spam”. This is usually when a website is built for no purpose other than manipulating search. Often there are many issues at play, such as thin content, duplicate content, scraped and poorly written content, unnatural links in both directions, and misleading text. To resolve a pure spam penalty, the website normally requires a complete overhaul. Often it is more sensible to move to a new domain and start over, but this time, following Google quality guidelines. Hidden text used to be a way black hat SEOs avoided being penalised for keyword stuffing. The idea is that keyword stuffed text, which is often complete gibberish, is on the page and hidden from human view, but visible to search engines. People will land on the page, and rather than being distracted by the words, they go direct to the product. Google will now penalise any page and/or website that does this. To resolve the issue, remove the hidden text and file a reconsideration request. Sometimes a website can be penalised because it is using a very spammy freehost. Freehosts are appealing at first, but they usually add links or adverts to your website – this is how they remain free. To resolve, buy some proper web hosting, transfer your website over and file a reconsideration request. It may seem as though a manual penalty will signal the end of a website, but in reality, manual penalties are often easier to fix than algorithmic penalties. When you lose search traffic following an algorithmic event, you never really know exactly why you have been penalised. With a manual penalty, the reason is usually very clear and therefore simple to resolve.